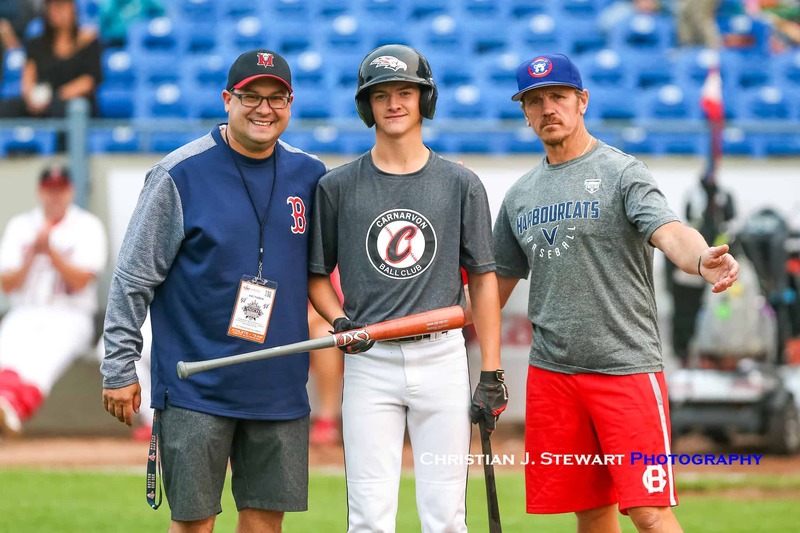 VICTORIA, B.C — The 2018 Baseball Canada Men’s National Championships started off with a bang Wednesday evening, with the annual home run derby kicking off the festivities at Wilson’s Group Stadium at Royal Athletic Park. 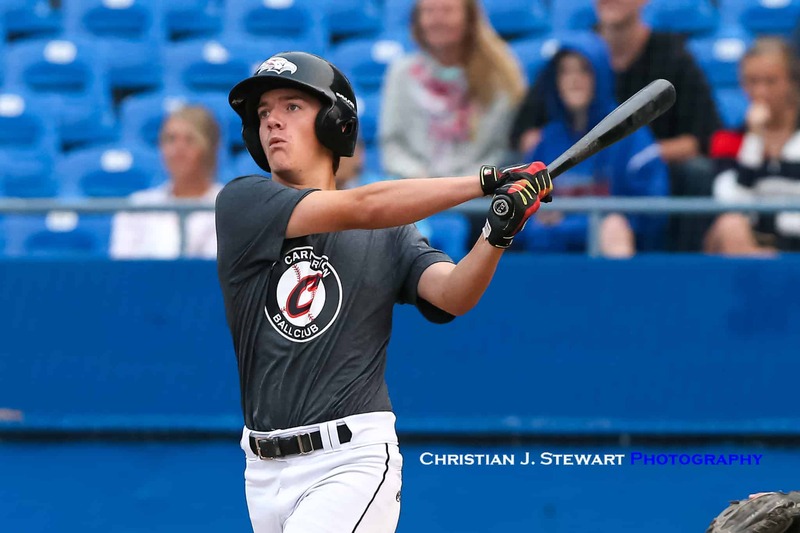 For the second consecutive year, the best senior teams across the country flocked to Vancouver Island for Nationals, and on an overcast day at the ballpark both local Little Leaguers and Nationals players duelled in the box to see who could launch the most pitches over the fence and through the smoky haze. All winners would take home a free baseball bat courtesy of Prairie Sticks Bat company. The little leaguers took centre stage to start, swinging for a modified fence halfway through the outfield, and were allowed 10 swings per at-bat. Matt Drouin of Layritz took the early lead by smacking two long balls over the shortened fence, but Beacon Hill’s Reid Clague would best Drouin by one in the final at-bat of the session to earn the Little League home run title. Next up, a couple Bantam-aged hitters took the field, and were allowed to make 10 outs for a fence that was pushed back to 240ft for the older hitters. Connor Melansin of Carnarvon took the victory by hitting one home run in his fourth out to earn the free wood bat prize as Bantam division winner. 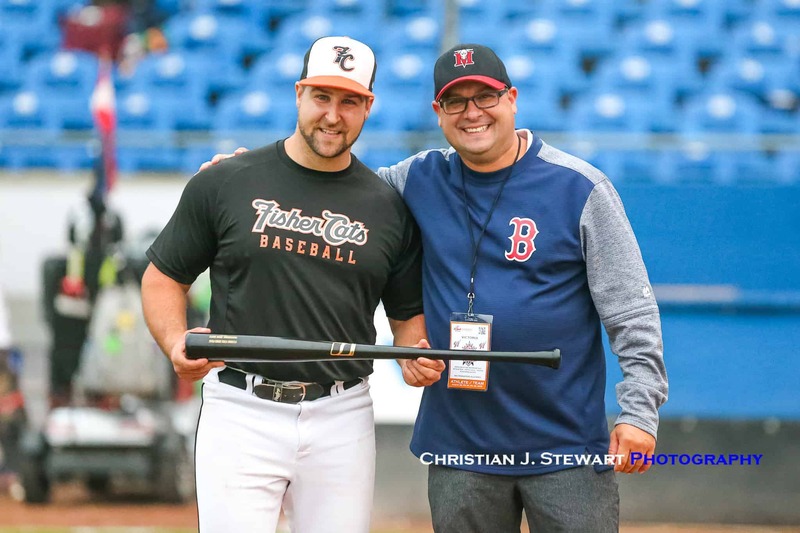 Finally, in the main event, all 10 provincial teams and the host Victoria Mavericks sent their big bats to the dish to vie for the title of Canadian home run derby champion. The sluggers were allowed 10 outs, with the top four hitters advancing to the second round to determine a champion. 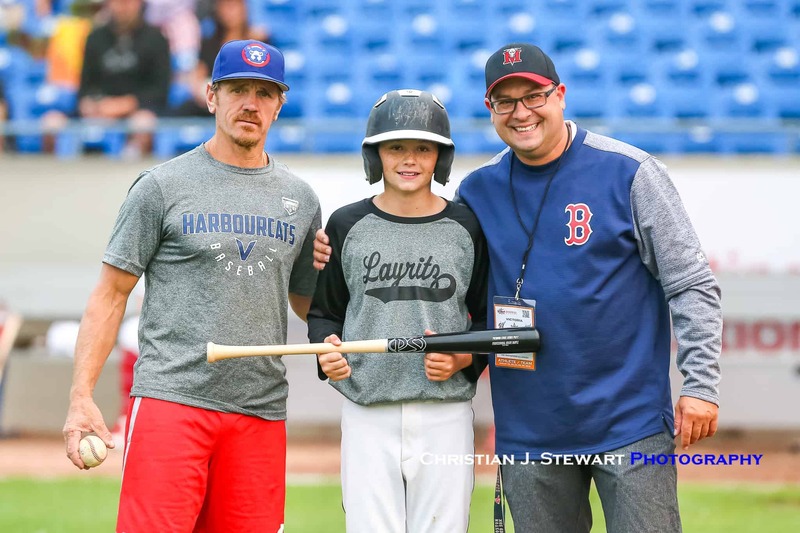 After the dust settled from the first round of hacks, New Brunswick’s Serge Vautour, Ontario 2’s Jon Celestino, and Victoria’s Charlie Strandlund were all left standing with two home runs apiece. 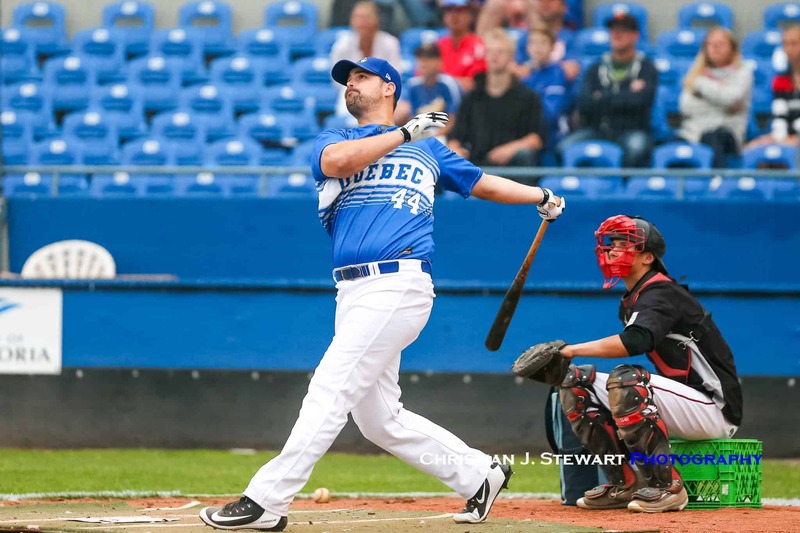 While Quebec’s Jonathan Jones led the way with three long balls, highlighted by one the bounced off the scoreboard in left field. 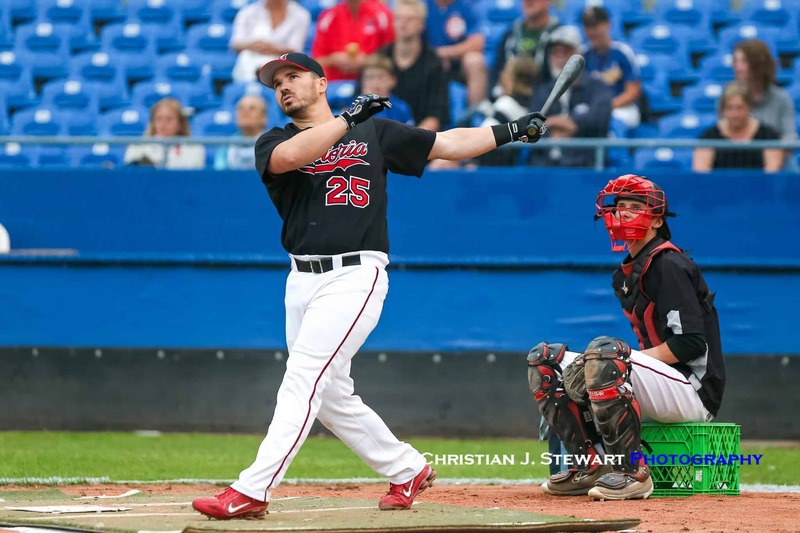 Vautour added to his total with four homers in the second round, brining his overall count to six on the night. 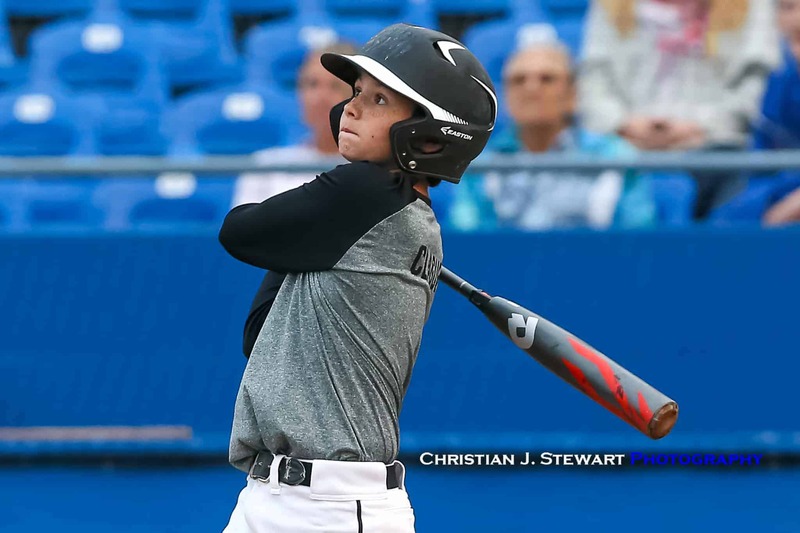 Both Celestino and Stranlund increased their total to three and five respectively but were eliminated, meaning first round leader Jones would need to hit four home runs to take the title. Jones started off slowly by recording three straight outs, but picked up the pace with a couple of back to back long balls – including one well over the Royal Athletic Park scoreboard and on to Pembroke Street – to advance his mark to five. However, it would not be the righties night, as he cooled off and fell just one home run short of Vautour’s six homers. 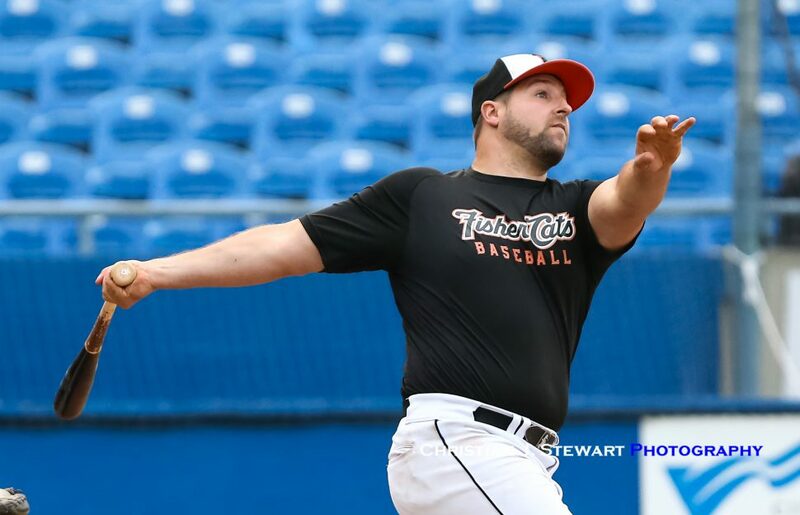 Games will be occurring throughout the day Thursday morning to Sunday evening, starting off with Newfoundland and Labrador squaring off against Quebec at Royal Athletic Park. Team BC will start their tournament at 3p.m. against Alberta, while the host Victoria Mavericks will play their first match at 7pm against New Brunswick. Tickets will be on sale throughout the tournament at the Wilson’s Group Stadium Box office at 1014 Caledonia Street. Tournament Passes, and all 17 games at Wilson’s Group Stadium are $75, Game Day passes are $20 Thursday, Friday and Saturday and $30 Sunday. Individual game tickets are $8 for games Thursday, Friday and Saturday and $10 for games Sunday. . Games at Lambrick Park are by donation, or covered with your purchase of a day pass or tournament pass.